There are few cars as versatile as the SUV. It has enough cargo space to handle a family, the features to keep them entertained, and enough performance capabilities to make them exciting to drive. Depending on the type and trim level there’s also a lot of off-road capabilities for the SUV. 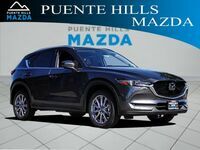 Not every SUV is created equally though, and few are crafted as masterfully as the 2019 Mazda CX-5. All the feel and comfort of a luxury vehicle without the price tag. It has a good amount of interior space with premium features and materials. Let’s go through a quick run-down of the basic features of the CX-5 so you know exactly what you’re getting into. 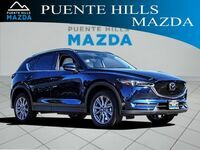 That’s only a few quick highlights of what is available on the 2019 Mazda CX-5. There’s a lot of different things across several different trims levels that would take a bit of time to run through. 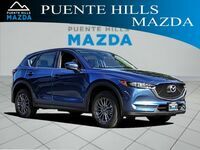 To experience all these different features stop by our dealership and schedule a test drive with the 2019 Mazda CX-5. If you have any questions feel free to give us a call and we’d be happy to help.